Another birthday, another cheesecake. 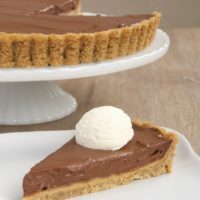 For my brother-in-law Jim’s birthday, I scoured countless recipes until I happened upon this recipe involving one of his favorite things – Reese’s peanut butter cups. I decided to ignore the nutrition information on the page, as bad as it may be. It’s for a special occasion, after all. I followed the recipe with only a couple of exceptions. I have no idea how many crushed Oreos it takes to make 4 & 1/2 cups. So, I used an entire package minus the two that I ate. The crust for this cheesecake turned out beautifully. I also changed the baking method to the way I’ve found to be foolproof, thanks to Mary Crownover’s book. I baked the cheesecake at 350 degrees for 15 minutes. Then, I decreased the temperature to 200 degrees and baked for 2 hours. Next, I ran a thin, narrow spatula around the sides of the cake and returned it to the oven, turning the oven off. After two more hours, it was time to refrigerate overnight. The other change I made was the topping. 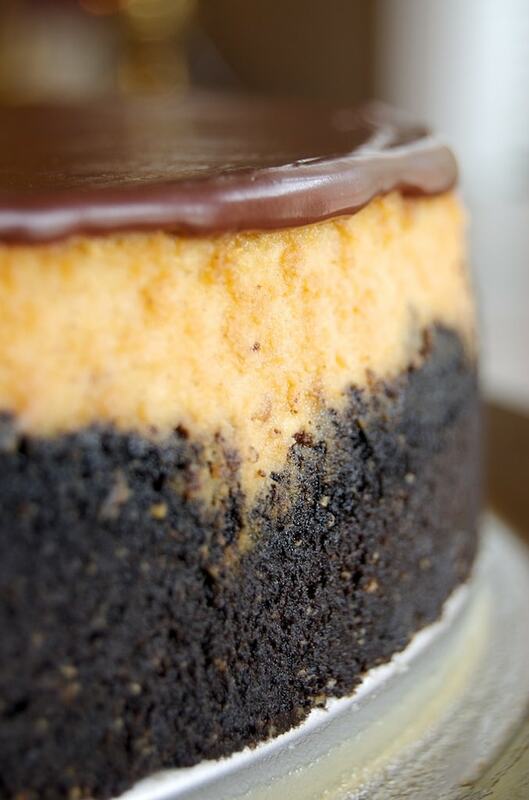 I thought that a peanut butter cup cheesecake needed a chocolate topping. So, I whipped up one of the quickest, easiest chocolate toppings you could ever hope to make. In a saucepan over low heat, melt 5 ounces of milk chocolate chips with 1/4 cup of sour cream, stirring constantly. That’s it. Just spread it over the cheesecake and return it to the refrigerator to set up. I wish that I’d had a bit more crust for the sides of the pan so that the cheesecake would have been entirely surrounded by chocolate, much like a peanut butter cup. However it looks, it is an incredible cheesecake. It has a wonderful, creamy texture. It was definitely a hit with everyone, including the birthday boy. And now, I have a bit of cheesecake baking reprieve. Well, until my sister’s birthday next month. 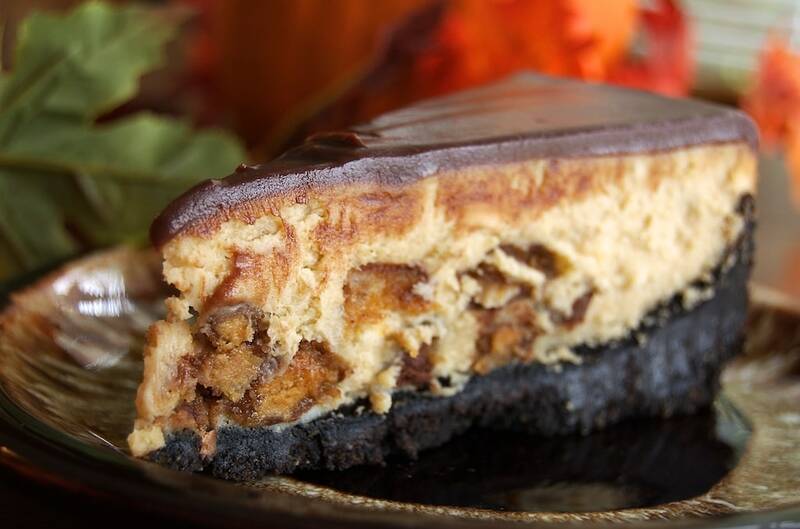 Peanut butter and chocolate fans will enjoy devouring this Peanut Butter Cup Cheesecake! 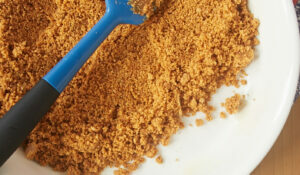 Place the cookies and peanuts in the bowl of a food processor. Pulse until combined. Add the melted butter and pulse until combined. Press the crust firmly onto the bottom and up the sides of a 10-inch springform pan. Using an electric mixer on medium speed, beat the cream cheese until smooth. Add the eggs, one at a time, mixing well after each addition. Add the sugar, peanut butter, cream, and vanilla. Mix until smooth. Stir in the peanut butter cups. Turn off oven. Remove the cheesecake from oven and run a knife around the edges of the cheesecake. Place the cheesecake back in the oven for 2 hours. Place the chocolate chips and sour cream in a small saucepan. Cook over low heat, stirring constantly, until smooth. Spread over the top of the cheesecake. Return the cheesecake to refrigerator for 30 minutes, or until the topping is set. For more cheesecake recipes, be sure to browse my Recipe Index. I own that cheesecake cookbook. I have yet to make anything from it. 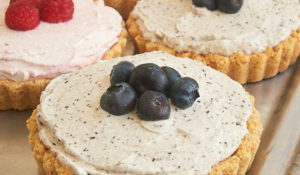 That cheesecake looks super yummy, my hubby would be all over that, for PBC are his favorite. Oh my goodness! I’m drooling. This looks amazing! 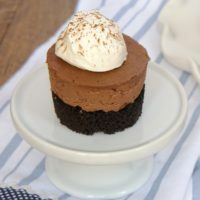 The light reflecting off the top layer of chocolate is making me totally ga-ga for this sweet treat! OMG! This looks sooo good. I was looking for something different to serve at Thanksgiving and I think this will be it! Did you bake this in a water bath like the original recipe states? Or, does your baking method avoid that messy detail? Gigi, I didn’t use a water bath. The method I described works very well without having to do that. Ohhhhhhhhhhhh! That’s all I can think of to say … Ohhhhhhhhhhhhh! Holy fuhreaking goodness that sounds good. Now, I have to hide this find from my husband who would absolutely die happy if I made this. I also love a thick crust on cheesecakes. That looks so nice! I’ve been wanting to get ‘I Love Cheesecake’, heard it was a good book. I want chocolate now. Thanks a lot. Jennifer, Jim loved the cheesecake as we all did! It really made the occasion and may be your best cheesecake yet. Thanks for taking time to make Jim’s birthday so special by baking for him! You know how he loves Reese’s…he’s still talking about it. Also, I hope to see this recipe at future gatherings, too. For other visitors to this website…MAKE the cheesecake and enjoy it like we did! Wow that looks fantastic! I’m gonna have to try that one! I love Reeses and cheesecakes. What a great combo! 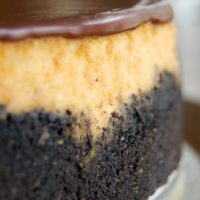 Would someone please post the Reese’s Peanut Butter Cup Cheesecake recipe or email it to me? I’m going to be baking this cheesecake tonight. Last year I donated a dessert a month to the Creative Arts Auction. This month is the last one and I wanted to make something special. I think this is it! The only problem is, I will be giving it away without a taste test. Oh well, I guess I will have to make one for our next special occasion. I love RPBC! I baked this cheesecake and it IS WONDERFUL!!! I made the first one to give away and my family drooled over it so much, I had to bake another one for us. I’m baking one tonight as a gift to give at a closing I have tomorrow. 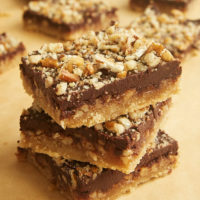 I used the chocolate topping as suggested and then topped with more chopped peanut butter cups. Do you think this would work for just about any standard cheesecake being made in a springform pan? Can one just take most cheesecake recipes, toss out their baking instructions and do this instead? A separate question, which you might not have any experience with, but I thought I’d ask anyway…my oven is small (a 9X13 is the biggest pan that will fit in there)…do you think there might be anything about the smaller oven that might affect how the cheesecake bakes? Thanks..loving your blog, especially now that I finally have an oven again! Jessica, I certainly am not a cheesecake expert. However, I would think that as a general rule, the baking method could work for most cheesecake recipes. I would probably keep a close eye on it while it bakes, but it’s certainly a worthwhile experiment. I don’t have any experience with your size oven. The only potential problem I see is that whatever you’re baking will be closer to the heating element than it would in a larger oven. With such a long cooking time, that probably wouldn’t be as big a deal with a cheesecake as it would with something that requires a short baking time, like cookies. If the top of your cheesecake starts getting too brown too quickly, you could have some aluminum foil handy to cover the top loosely. I hope that helps. Let me know how it works for you! 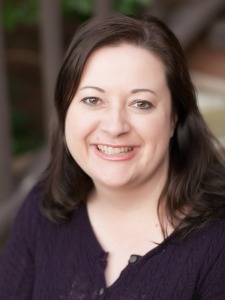 Thanks so much for the tips…the crownover method worked beautifully. The only problem with the small oven (actually a friend’s, not the one I talked about originally) was that her rack was not very sturdy…and when I pulled the cheesecake out to check it, the rack collapsed and sent the cheesecake sliding to the bottom of the oven. Fortunately, it all stayed in the pan, but it definitely cracked. Good thing we were putting a topping on it! We served it to our Chinese teachers (we are language students in China) and they loved it. You’re welcome, Jessica! I’m glad it turned out well, despite the rack disaster. Just from the look on my Husband’s face when we saw this, I knew I had to make it. Mmm, it’s really good! I did my topping like yours, but doubled it. 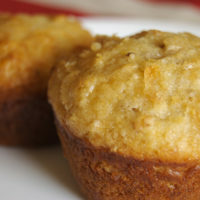 Did you put them in the food processor whole, or did you split them and remove the cream filling before processing them? (My mom said she did that before because she had had problems with the filling melting, running and leaking during baking). Lindsay, I put the Oreos in the food processor whole and didn’t have any problems. Another option is the Nabisco chocolate wafers. They can be hard to find, but they’re great for crusts. I used them for that delicious icebox cake, too. In the crust, did you use peanuts that had salt on them? I bought peanuts that I thought were unsalted, but I was wrong! (By the way, I found the wafers, but they were expired … grrrrr … so I am going to stick with the Oreos). Lindsay, I’m not entirely sure I remember if the peanuts were salted or not. If I was able to find roasted peanuts that weren’t salted, then I would have used those. Otherwise, I would have gone with whatever I could find. Hope that helps! 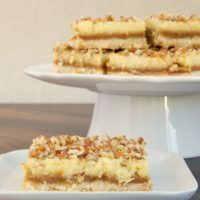 I made this last night with your topping and baking suggestions – can’t wait to try it out tonight and see how it tastes! Did you use 12 regular peanut butter cups or the miniature ones? I made this for Thanksgiving, I didn’t need to bring a dessert, but could not resist. Mine did crack though, I was disappointed, but with the chocolate sauce no one will be able to tell. My pan was very full. I have only made one other cheesecake before, so I am nervous to cut into it. I made this the other week. Oh my freakin goodness. Everybody absolutely loved it and I never thought I could make something so freaking good. If you haven’t tried it, do it, you definitly will not regret it. YUUUUUMMMMMM! Jennifer, I’m glad you found me! I’m not sure I would attempt to bake the chesecakes at the same time. Cheesecakes can be so temperamental that I wouldn’t want to risk it. Thanks for your advice. My instincts were telling me the same thing, and this dessert is too important for me to experiment on (as I often do with smaller family things). I have the 10″ in the oven now and will do the other one later this evening. I decided to do an 8″ on top; when I stacked the pans, the 9″ didn’t give enough of a layering effect. I really appreciate your willingness to bounce ideas around and share advice. I usually do these things all on my own–mostly with success but sometimes with disappointments–as I’m sure you understand! omg this looks sooo good! my man n myself LOVES reese cups! i am so goin 2 try that! yummy yummy!! I’ve made this cheesecake three Christmases in a row and it is the BOMB! I made this cheesecake for my boyfriend’s birthday and it was delicious. Incredibly rich so one slice really does go a long way – but absolutely amazing. Probably the most impressive thing I’ve ever made. I made this on New Year’s day for a dinner (to be held the day after). Everyone loved it. It was delicious and very, very rich. I looked at the original recipe linked from this page, but decided to go with your suggestion of a chocolate topping (made from semi-sweet chocolate chips as I had no milk chips). Thank you for that! Extra pb cups on the top would of been too much. I made this cheesecake exactly by the recipe and it is the bomb!!! Not a thing wrong with this smooth, creamy cheesecake. 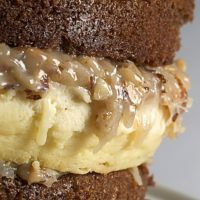 Next time I think I will make a peanut butter glaze to drizzle over the chocolate simply because you just can’t have too much peanut butter. Thanks for sharing the recipe. So glad you liked it, Marie! I’m such a sucker for peanut butter and chocolate! Are the baking temperatures in Farenheit or in Celsius? Great recipe. I made this cheesecake today and must say it looked exactly like it did in the pictures! Super professional looking and my family was impressed. The only thing we didn’t like, and maybe this is because I did not chill it long enough, was the texture. The cake did not have density that I am used to with a cheesecake. Instead, it was a little gelatinous. If I would have chilled it longer, would it have firmed up? Or does it have a less-firm texture? I recall it being a traditional cheesecake texture. Chilling does help it set, so that could be the issue. 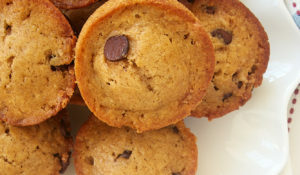 If you substituted any low-fat or fat-free ingredients, that could definitely affect the texture. You might also check your oven’s temperature with an oven thermometer to make sure it isn’t low, if the texture made you think it might not have baked thoroughly. Does the topping call for chocolate milk or chocolate chips…? I bought all of the stuff and my cheesecake is currently in the oven. I bought chocolate milk and I just read in the instructions that it is chocolate chips?? Ally, you’ll need milk chocolate for the topping, not chocolate milk. Semisweet would work fine, as well. Mine is in the oven right now. I followed adapted recipe, however I ended up using a water bath halfway through the first segment. It was 1:15 into baking and my oven had a slight smoke coming from it. Couldve been something burning off…. I usually use water bath and for fear of burning that gorgeous oreo crumb mixture, I took cake out wrapped springform in foil and quickly added the water around it. Put it back in oven…now waiting and hoping it turns out.